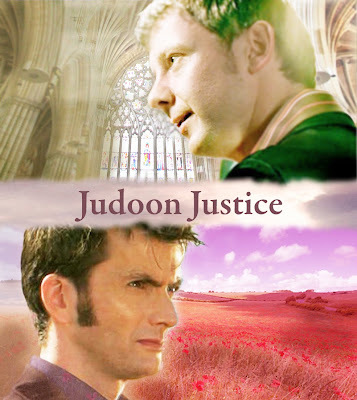 Part of Series: Judoon Justice belongs to a series called A Timelord and his Madman, which actually starts with "His Silent Mind", and can be considered as a sequel, but can also be read as a stand-alone. For those who want to read it as a stand-alone, read the short summary for "His Silent Mind" included after the cut. For those who want to catch up with the first story, go HERE. Just when the Doctor succeeds to bring the Master back to some form of consciousness, the Tardis encounters the fleet of the Shadow Proclamation. 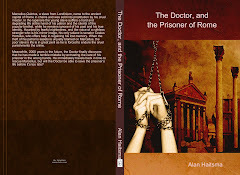 The Master is taken from board, and the Doctor faces the forces of the Lady Shadow Architect and her followers as they are keen on bringing the Master down to Judoon Justice. "My dear Doctor, that was a fixed point in time. It was an event that could not have turned out differently. The choice would have always been the Master, because it was you, who sealed the Timelords inside the lock and ended the Timewar. They could never have chosen you."